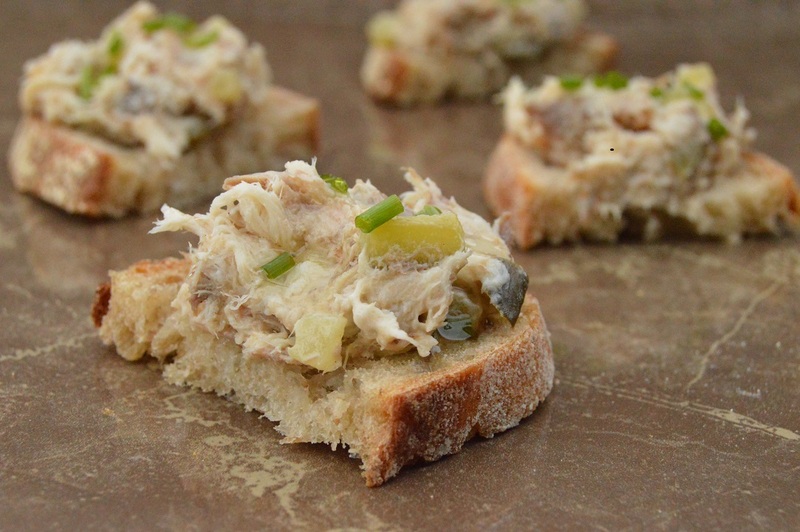 This is an insanely simple and almost instant smoked mackerel pâté that is seriously big on flavour – perfect spread liberally on hot toast or eaten with a baguette as part of a light snack. 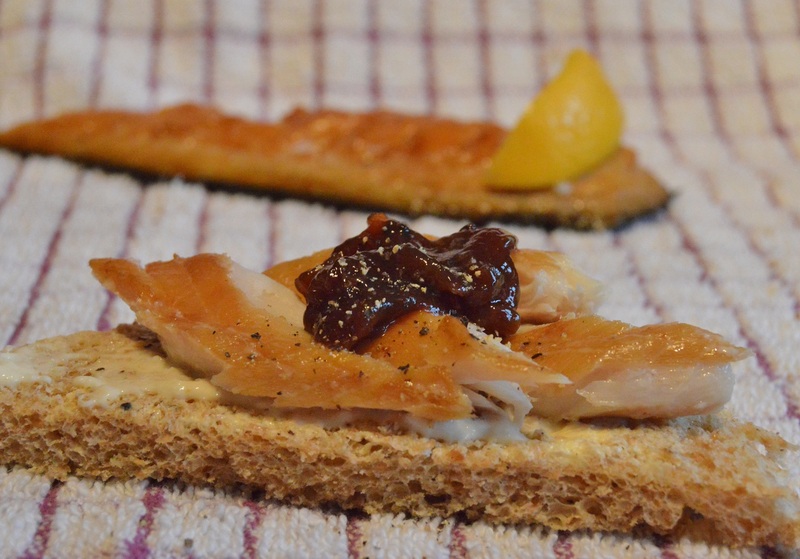 I have been making this version of smoked mackerel pâté for many years after getting fed up with the grey mush that passes for commercial smoked mackerel pâté. 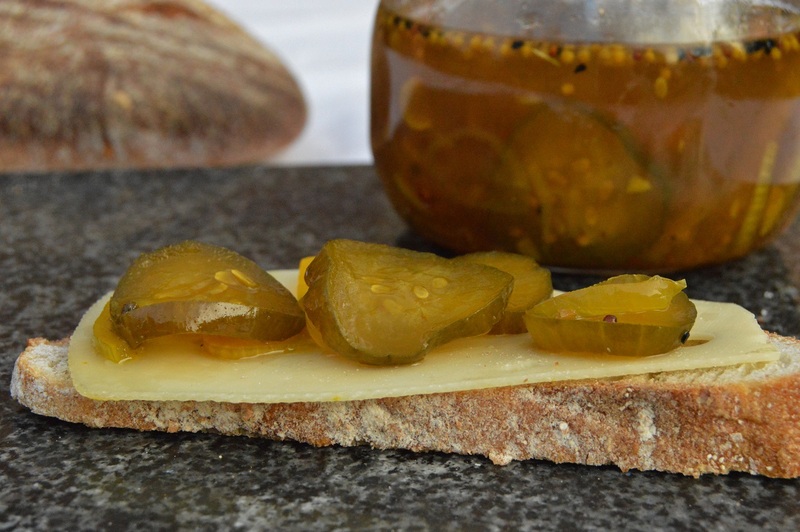 The pickled gherkins really lift the pâté somewhat: I tend use use the sliced gherkins that are in a sweet vinegar as they give the best flavour here, but I have often used pickled cucumbers, which I make every year once the cucumbers are ready for picking – the recipe link is at the bottom of the page. This pâté is glorious served my gooseberry chutney: and the good news is that you can use fresh, frozen or even tinned gooseberries: the recipe link for this chutney is at the bottom of the page. 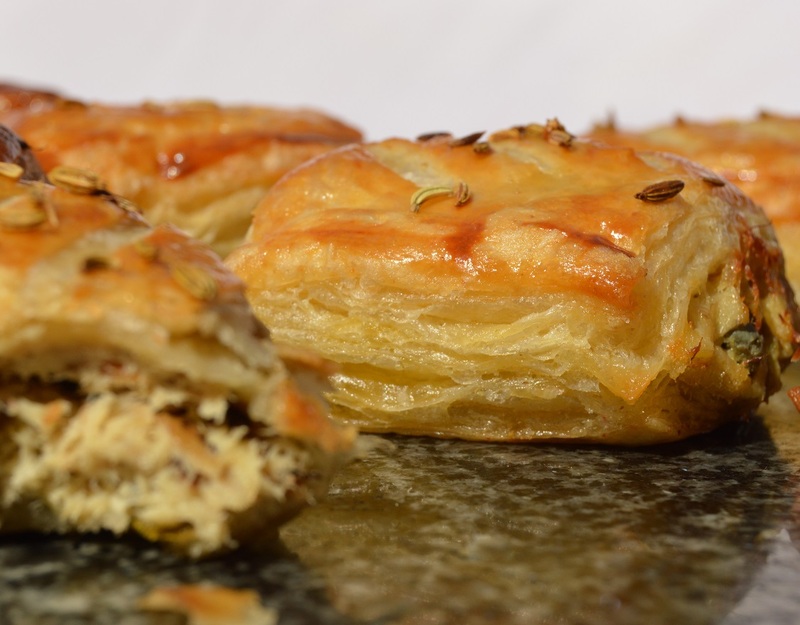 Fancy a quirky take on sausage rolls? I love making these into “sausage rolls”, something that initially happened quite by accident after having some pastry and some pâté left over. In which case, add a beaten egg to the pâté (so it holds it shape as it bakes) and wrap it in puff pastry, as though you were making sausage rolls. 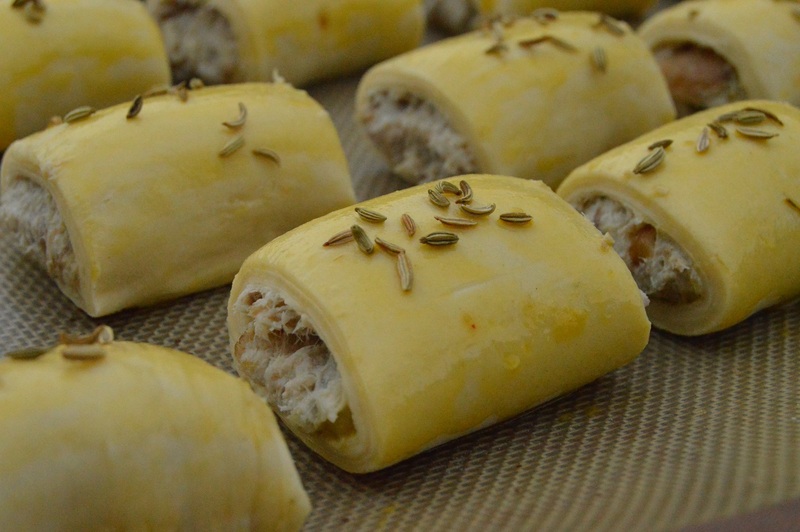 Perhaps even with a sprinkling of fennel seeds before it goes into the oven…….. 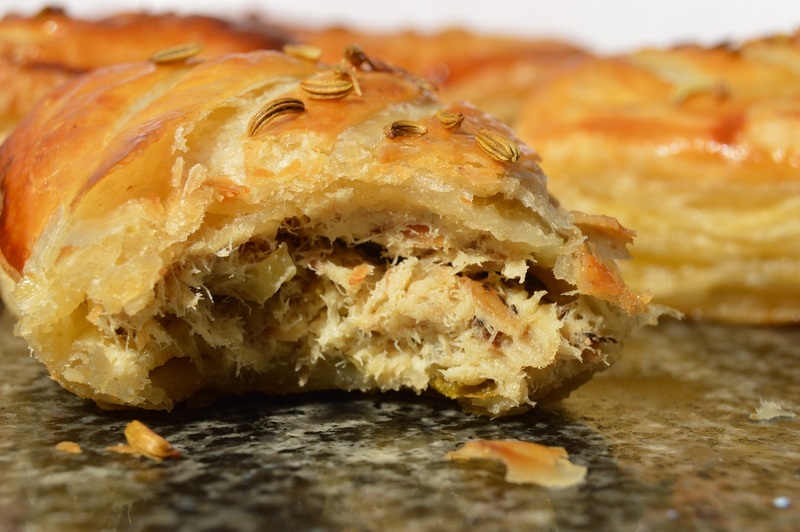 The recipe link for these mackerel rolls is at the bottom of the page. This is a deliberately rustic pâté, with identifiable chunks of mackerel and the other goodies within. And I think it needs to be rustic. I prefer using crème fraîche rather than the more traditional cream cheese as it gives a lighter pâté – cream cheese can make it all go slightly claggy. To make the pâté simply put the ingredients in a bowl and mix together with a fork until incorporated, retaining some of the chunks of mackerel. Add more horseradish if you feel it needs it. It shouldn’t need salt but if you feel it does, add a little. I make an almost identical pate but instead of horse radish I add a good dollop of mustard! Love eating that on fresh sourdough or sometimes fill chunky, slightly hollowed our cucumber “trunks” with it. Sounds delicious,I’d love to try it, but isn’t mackerel very bony? Thanks Mary. Yes, it is indeed a bony fish but I usually buy the ones that have had the bones taken out for total simplicity and speed! Where I live, they don’t debone smoked mackerel, Philip. Do you think that wizzing the fish with a stick blender will mash them up at all?